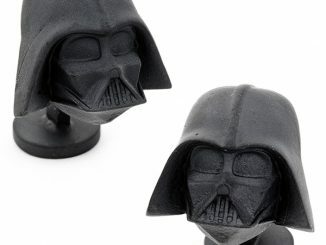 Nothing cracks your nuts like the power of the Dark Side. 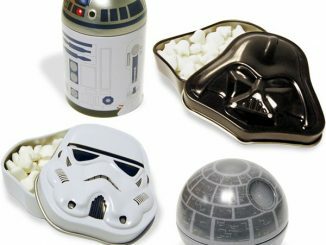 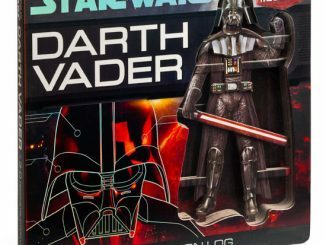 Get into the holiday spirit with the 10-inch Star Wars Darth Vader Nutcracker and let a Dark Lord of the Sith help with those Christmas-time munchies. 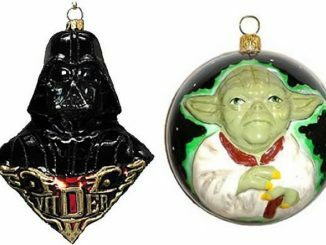 Nutcrackers go with Christmas like peanut butter goes with jelly so why not use a Star Wars theme for the iconic holiday combo? 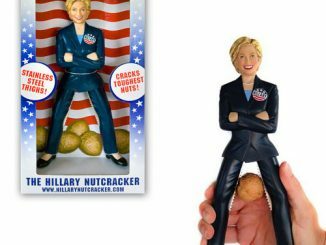 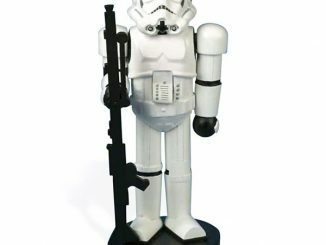 Those vintage soldier nutcrackers with the rosy red cheeks won’t stand a chance at stealing the spotlight from the Emperor’s right-hand man. 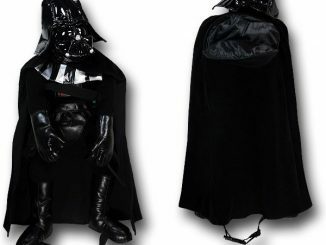 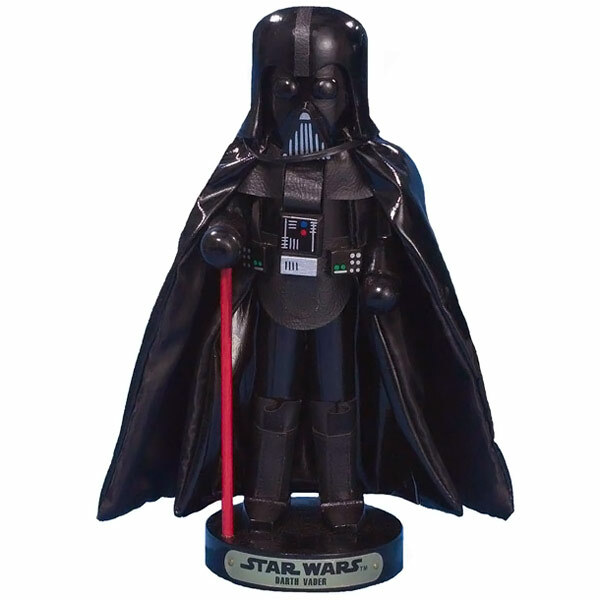 The wooden figure, complete with Vader’s mask, helmet, cape, and red lightsaber, stands upon a round black base with a gold plaque that reads, ‘Star Wars Darth Vader,’ and measures 10 inches tall. 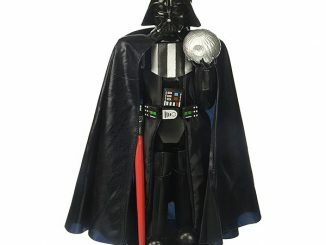 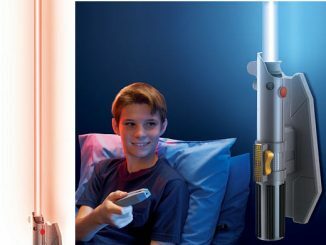 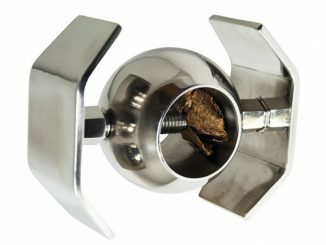 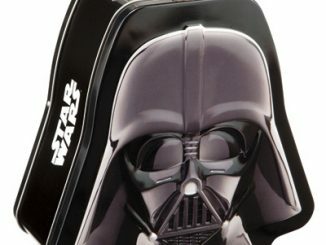 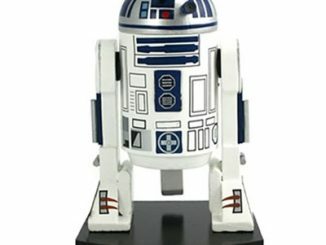 The 10-inch Star Wars Darth Vader Nutcracker is available for $34.13 at Amazon.com and $56.25 at Home Depot.